Nina Simone: Four Women - Presented by The Black Rep at the Edison Theatre. Performance Dates: May 15th through June 2nd. See website for more info and to purchase tickets. 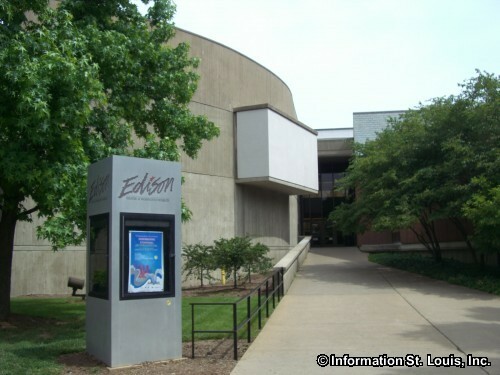 The Edison Theatre is located on the Danforth Campus of Washington University in University City, Missouri. It serves as the teaching facility of the Performing Arts Department at Wash U as well as hosting entertainment events performed by national and international touring artists and companies. It features a seating capacity of 656. The performing season at the Edison begins in September and goes through April. Directions: Located on the Danforth Campus of Washington University. From Forsyth Blvd, take Wallace Drive north. Make immediate right at first drive, the Edison Theatre and the A.E. Hotchner Studio Theater are on the left in the Mallinckrodt Center.